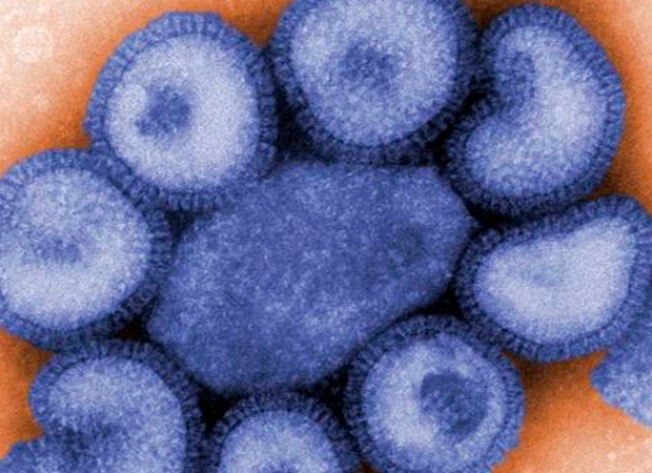 This 2009 image taken through a microscope and provided by the Center for Disease Control and Prevention, shows the H1N1 strain of the swine flu virus. <p>Watch a 1:30 p.m. news conference with Gov. Pat Quinn, Mayor Daley, as well as state and city health officials to discuss probable cases of swine flu in Illinois. Read more about the latest swine flu developments in Illinois here.